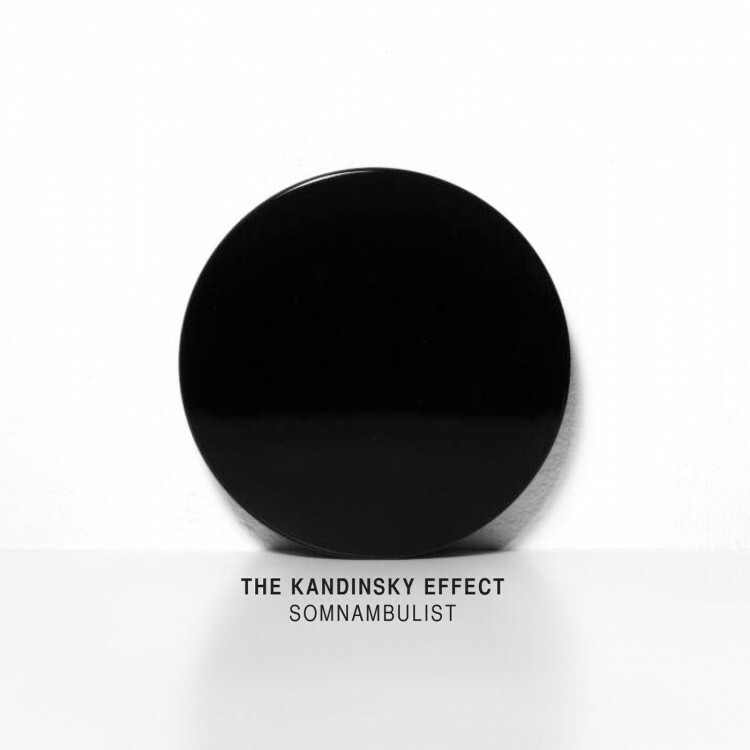 It’s been two years since I reviewed the album Synesthesia by The Kandinsky Effect, heaping praise on it saying “musicianship and communication throughout are stellar, there are free elements without being too far ‘out’, and the trio keeps the modern elements at the forefront without sacrificing the jazz foundation.” Now they are back with Somnambulist … and it’s even better. Where to buy: iTunes Music Store, also available on Amazon MP3 Store, Wayside Music and Cuneiform’s Bandcamp store. Founded in Paris in 2007, The Kandinsky Effect is a post-modern jazz trio, searching for new ways to work within the jazz idiom by blending the borders of jazz, rock, electronica, hip-hop and experimental sounds. The group is composed of young players who have playing experience in many styles of music and bring these experiences to the table. Two years ago when reviewing Synesthesia I was on a ‘trio binge’, and said “I am a big fan of trios in improvised music, whether jazz or fusion or rock; there is an element of necessary space and contribution there that requires risk and communication at the highest levels.” More recently I have been exploring music history with my iPod filled with music recorded over more than a century, representing nearly all styles of jazz and popular music. I have small bands, big bands, orchestras, solo artists, duets … and of course trios. Significantly I have recent trios and small groups such as the Mary Halvorson Trio, Vijoy Iyer Trio, Nik Barscht Ronin (quartet) and The Kandinsky Effect. Listening to my library shuffled I found that many of my favorites were non-traditional groupings – piano-less quartets, unconventional instrumentation, mixing modern and traditional approached and so on. But the fundamentals must remain – just pairing Derek Bailey and Jamaaladeen Tacuma is intriguing, but it is their incredible duets that keeps the music on my iPod. This is also true for this recording. The lineup of The Kandinsky Effect is a saxophone, bass and drums trio featuring Warren Walker on saxophone and electronics, Gaël Petrina on bass and electronics and Caleb Dolister on drums and laptop. This is the same as their previous release, as is the breadth of music they create using such a small grouping. The music on this album is clearly jazz, but dismissing it as JUST jazz does it a disservice. There are strong and clear elements of electronica, dubstep, hip-hop, pop, rock and more at play throughout. From the opening lines of ‘Johnny Utah’ we have processed and heavily echoed sax over chordal bass and a shuffle-swing drum pattern. After the intro the music becomes more heavily atmospheric before heading into an improvised section followed by a heavy beat shuffle-stop sequence and eventually getting into a driving solo section with the sax doubled with a distorted electronic synth sax. The depth and breadth of expressive sound they get from such a small group is very impressive – not just technically, but in terms of what it allows them to do in terms of sonic explorations. Using Petit Loup as an example, feels like a traditional trio song in many ways, a traditional pop song in others, yet at the same time is completely different from anything you’d expect. The leading bass figure that syncopates against the drum pattern sets up a conflict, and the soaring saxophone figure – doubled with a distorted electronic bass – sets a plaintive wail that is at once introspective and expressionistic. The harmonic structure is accessible, but the song itself is quite complex and I always find new things with each listen. The playful feel of Annabelle Chases a Bug is evocative and minimalistic – except for the percussion. The bass and saxophone play a constrained and measured duet while the percussion is all over the place, providing all of the focus and tension. Later in the song an electronic noise tone sustains and builds the tension before dropping back to the more subdued feel. I love the drumstick clatter early on and especially at the end of the song. And Trits evokes Nik Barscht’s Ronin in that it is controlled at all levels by the driving rhythm and the song build minimally around it while never ceding control to anything by the strong pulse. This pattern repeats itself throughout the album – shifting sections with varying amounts of electronics and acoustic focus, plenty of improvisation and inventive melodic and harmonic elements. The musicianship and communication throughout are stellar, there are free elements without being too far ‘out’, and the trio keeps the modern elements at the forefront without sacrificing the jazz foundation. And to me that is one of the most attractive things – because these young musicians grew up with so many genres integrated, it all occurs naturally without feeling that they are creating a ‘fusion’ of anything. ‘Quick Hit’ Song: “Copalchi Distress Signal” … entering with ringing bells, white-noise percussion and fuzzy electronic bass, gathering up together and a heavily processed saxophone coming in like a second bell tone. After the introduction, the song takes on a drum & bass feel with the saxophone slowly evolving from a chime into stating a melody, and suddenly by 3 minutes in we have a solid groove and driving solo happening. It all came about so organically you would be hard pressed to realize it was happening! I have a lot of songs I loved, the title track as well as “Petit Loup” and “Trits” are also favorites. Would I recommend? : Absolutely! It is funny that I was just reading about how getting lousy movies in January and February is the norm … yet once again we are seeing amazing new music coming right out at the start of a new year! Suggested audience: This is one of those records that pulls in a broad audience. I have not gotten a complaint listening to it while cooking or hanging out around the house, with everyone enjoying it and my older son adding it to his jazz playlist on his phone. I will echo what I said before: if you like jazz trios but are looking for something new and different from the standard piano trio, this is definitely worth a try. If you love different styles such as electronics, jazz, rock and hip-hop beats melded together in a fresh way, check this one out! Price: $9.99 on the iTunes Music Store, also available for $8.99 MP3 / $13.99 CD on the Amazon MP3 Store, $15 for the CD on Wayside Music and $9.99 MP3 / $16.50 CD on Cuneiform’s Bandcamp store.